Nimbit Artists of the Month! We acknowledge that Nimbit wouldn’t be the hot stuff that it is today if there weren’t any artists around looking to sell music and merchandise—without them we are absolutely nothing. So, we decided to kick off an “Artist of the Week” series here on the blog to not only say thanks, but also to showcase the users who are making the most of the platform. I’ve cobbled together about a month’s worth of “weekly” artists into this li’l wrap-up, and among tem are a Grammy nominee, a 3-million-plus selling band, and an ARIA winner—but who is which? Much has been written about what it takes to be a musical success. Tour hard. The real money’s in the merch. Engage your fans. You’ve heard all that a million times. Austin’s Alpha Rev is 13 years and four albums into their career with no sign of slowing down, and have proven what many music bloggers seem to have overlooked; despite myriad flavor-of-the-week “best practices” for being a sonic success, ultimately the song is the thing. And upon listening to Alpha Rev, the elephant in the room becomes so very obvious. Alpha Rev’s foundation lay in a folky/rootsy acoustic aesthetic; familiar territory for seasoned songsmiths. Bolster said traditional Americana instrumentation with a killer rhythm section and a bevy of pedal steel and mandolin, and you’re a step closer to arriving at the Alpha Rev gestalt. 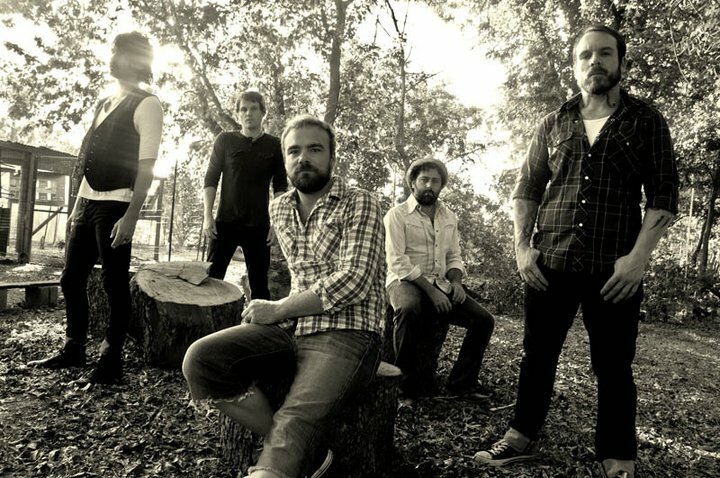 Add lofty, layered vocal melodies, elegant application of dynamics, and patiently-building crescendos that border on cinematic, and one could begin to imagine their sound. Or, heck, one could just bloody well listen to it, because a ton of their stuff is available on the Alpha Rev Nimbit Store, including their three full-length albums and a B-side compilation. Strongly recommended. Good stuff. Check out New Morning. Pittsburgh, Pennsylvania’s Rusted Root are all about the sonic melting pot, and their status as mainstays of the sweaty outdoor music festival scene probably helps with the “melting” part. Start with a hearty spoonful of jam band folk and fold in a 1/2 cup of vocal harmony. Season liberally with Latin American and African percussion spices. Add genius and let simmer for 45 minutes. Serves 3 Million. Check out their music by getting a free track here. and when you’re done with that, check out their Nimbit store, which is absolutely stocked. There’s a diverse array of tees (long-sleeve, short-sleeve, no-sleeve) and other apparel, as well as cool merch, including Rusted Root-branded earplugs. In true jam band tradition, there is also a bevy of live tracks to be found. Many—if not all—of their studio albums are available as well, dating all the way back to 1992, so you can root through Root’s roots. Interested in Nimbit? Sign up for free here. Rusted Root has sold 3 Million records. And if Nimbit’s good enough for them… just sayin’. 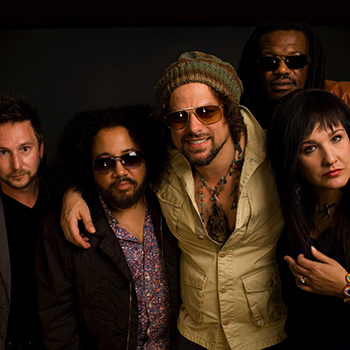 Get a free track from Rusted Root below. Note that if and when you sign up for Nimbit, you’ll be able to create your own promo widgets just like this one. Although, it would probably be best for them to give away your music, and not Rusted Roots’. 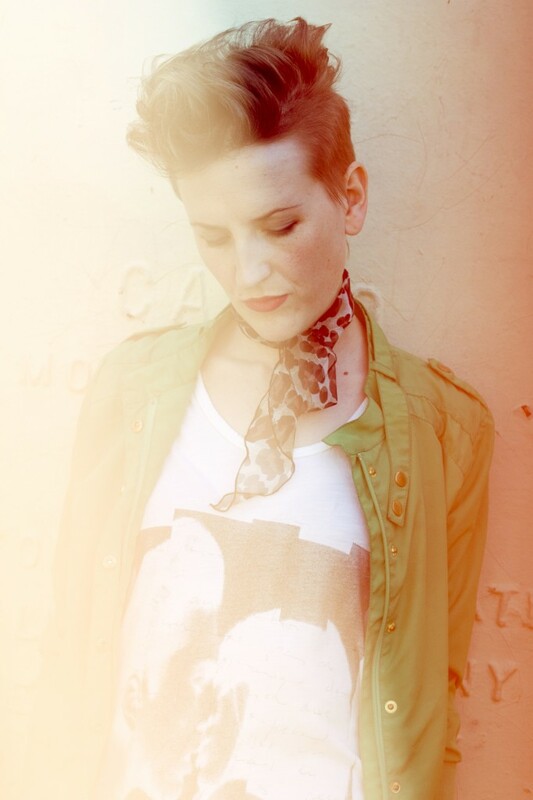 Melbourne, Australia’s Mia Dyson is five records and countless shows into an undeniable winning streak. So far, she’s been found touring with Eric Clapton, Bonnie Raitt, Joe Cocker, and Stevie Nicks, leaving a trail of won-over fans and ARIA nominations in her wake. Oh, and one win, for Best Blues and Roots Album. Her songs are clearly those of an artist who prioritizes balance—we hear fresh sounds juxtaposed with the traditional, all wrapped up in toasty blanket of heart and earnest. The result is a experience that is simultaneously warm, familiar, and refreshing, and highly deserving of repeat listenings. Oklahoma’s John Fullbright is a songwriter’s songwriter, the kind of guy that writes lyrics that make other songwriters cry “Why didn’t I think of that?” John delivers his road-weathered ballads from a strong heart—one that’s got a more than a few miles on it, and more than a few left. The man’s a straight shooter; case-in-point, the new record, available now on Nimbit, is appropriately titled Songs. Despite being a Grammy-nominated songwriter, killer vocalist, guitarist, pianist, and harmonica player, he is only kind of good at dominoes. Click here to learn more about John, hear/buy his new album, Songs, and become a fan. Nimbit Artist of the Week: Alpha Rev! Or, hell, one could just bloody well listen to it, because a ton of their stuff is available on the Alpha Rev Nimbit Store, including their three full-length albums and a B-side compilation. Strongly recommended. Good stuff. Check out New Morning. 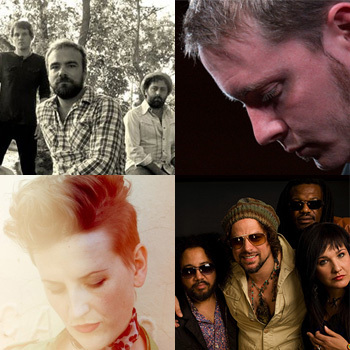 Nimbit Artist of the Week: Rusted Root! Nimbit Artist of the Week: Mia Dyson! I used to use another DAW and then I got exposed to Studio One. The reduction in click count made my workflow super fast, and it’s so super intuitive that I get stuff done without even thinking about it. My cousin in California who worked with me on this song is one of my converts to Studio One. He bought it, and this was the first time he used it to record. He said that he would be using it a lot more in the future because it was so easy to use. He sent me his waves, I put them back in my session, mixed it down, mastered it in the Project page, labeled everything, and uploaded to SoundCloud—ALL IN ONE SESSION! Studio One is sweet, it’s clear, it’s fat, it’s full, and I love it! The Project page is particularly useful because when I hear mistakes that I missed in the mix, I can click the wrench, fix it in the Song page, and then update the Project. In no time flat, I’m back to doing what I wanted to do. All of my plugins work, and editing is a snap. I can’t say enough about this platform, man! I learned Studio One so much faster than the other DAWs I own that I now use it exclusively, and tell everybody I know about it. Click here to check out my Nimbit Store, and text getkool to 88704 to download the track for free! Nimbit Artist of the week: John Fullbright! In between playing six other shows and engaging the PreSonus team in more than a few rounds of dominoes at Willie Nelson’s Ranch in Luck, TX during SXSW, John Fullbright managed to set up in the Jam in the Van van and knock out a couple of his hits for their cameras and recording gear. The results can be found below, and they’re really worth a look/listen. We hadn’t had the opportunity to check in with Jam in the Van in a while, and while their video series has always been great, of late it has gotten really great—also evidenced below. Jam in the Van have been using StudioLive mixers for a while now, and recently upgraded to a StudioLive 24.4.2AI, and it’s a mainstay of their workflow. It’s literally always on the road, and looks and sounds to be holding up right fine. Much of the same could be said of John. Be sure to get a listen to his new album, Songs, as the buzz around it is building rapidly—catching the attention of the Wall Street Journal, no less. It’s due to be released on Nimbit, and available nationwide in the U.S. on May 27, and in the U.K. on June 3. For more on John Fullbright, click here. For more on Jam in the Van, click here. PreSonus Artists Royal Teeth brought their signature sounds to the big time last week, appearing on none other than American Idol, performing their hit, “Wild.” We can’t begin to express how proud we are of these good friends from just over in Layfayette. Good work team, you’ve earned this. Click here for more on Royal Teeth. 5 new (awesome) Nimbit features you should know about! We’ve been busy here at Nimbit. We’ve been working crazy hard on some new features that are going to change the way you connect with your fans. Let’s dive right in. Which fans signed up for your mailing list in the last 30 days in the Boston area. Which fans checked into one of your events and has purchased your new album. Which fans have not purchased your new album, but did purchase your last album. Save those and countless other filters into your fan list and use the rest of our tools to keep them engaged. Set up a promotion for your new single, and only email fans that have not purchased it yet. Set up a recurring email that automatically sends an event reminder to fans in the location of your upcoming events, as you add them. We’ve completely reinvented our new event management tool, which is available on all plan levels. We’ve integrated Google searches into event creation: you enter the name and city of the venue and Google takes care of the rest. It’s faster for you and provides more accurate information for your fans, right from your calendar. Also, we made selling eTickets for events much easier. Use event management with fan list and email to send an event reminder to all your fans in the area that haven’t bought tickets yet! Then email all the fans that checked in to your event directly from the events page. With a shiny new coat of paint and some powerful new features, your promotions will be more effective than ever. Promote any product in your store with a discount, and include another discount only for fans who redeemed the promotion. For example, give a track away for free, and offer the whole album for 20% off to those who download the track. Then, send a thank you email to the fans that bought the album and remind them about your merch options! The real power in these features comes from you. We’ve focused on making it easy for you to do what you need to do in your own way. Go beyond the examples, your options are endless. So log in to your account now, and start trying them out! The Kashmere Stage Band is experiencing some SERIOUS momentum thanks to the recent documentary that is receiving constant critical praise. 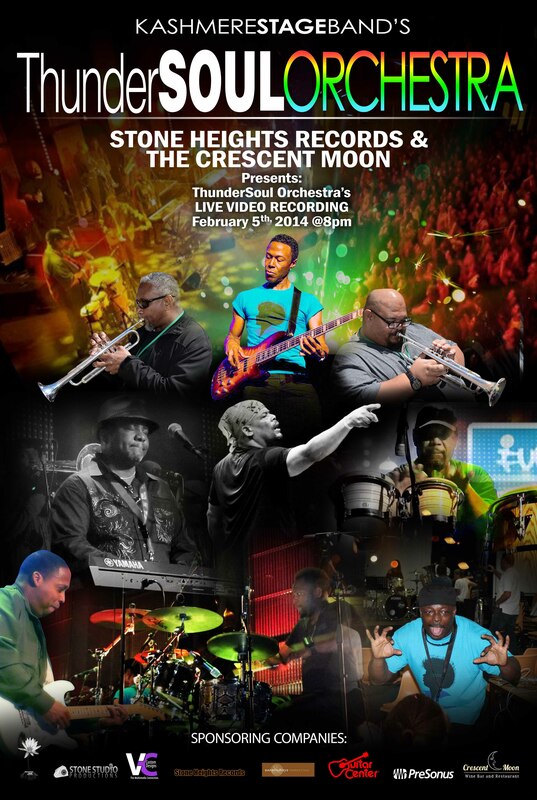 Residents of Houston can catch the band LIVE tromorrow, 2/5/14, and be a part of music history as the performance will be filmed for posterity! Furthermore, the band will be using a StudioLive 32.4.2AI to record the show to Capture! If you’re on the area, come on down to The Crescent Moon and GET FUNK’D! Get tickets by clicking here.